I remember the surprise I had when I saw the white robes and topknot of Wu Fei (ufe3, Confucian scholar, an early supporter of the Hanfu movement, and owner of Jing Li Tang blog) on the television, being interviewed by Canadian media, as the iconic portrayal of the new generation. Back then, the focus was mainly on presenting an esoteric side of China that countered the rock-and-roll craving side of New China — but not much was given on the dynamics and size of the whole traditionalist wave. However, as an introduction to the image of China during the 2008 Olympics, that was perhaps the best one could do for a Special broadcast. On a different angle, the CNN interview of Guang Han Hui was imported from Guangzhou Television, but provides a direct address on the raisons d’etre of the Hanfu Movement. Ever wondered how the glamorous design of the Aoqun was made? What is it that makes the whole set worth thousands of yuan, asides from the superior quality of the fabric? How is the top made so that it forms the body so well but remain comfortable, or how does the skirt hold itself up? Here, I will try to deliver the “secrets” right from Chinese sources. The Aoqun 襖裙 is comprised primarily of two pieces – an Ao 襖 top, which is defined as a “top with cotton lining, and goes down to just below the waist”, followed by a Qun 裙 – or more specifically the “Horse-faced skirt” 馬面裙, with small pleates on both sides and one large “face” pleate on the front and back. The Aoqun is a commonly-seen design among mid-late Ming relics from wealthy families and the royal court, as part of the casual or semi-formal fall-winter wardrobe. Currently, unlined versions of the Aoqun are also produced for the market – although technically “Ruqun”, they are still labelled Aoqun for noting its iconic Ming conical cutting, and the top worn untucked to the skirt. 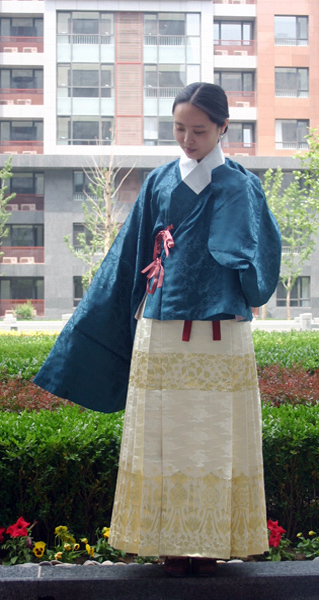 Although some argue that the Aoqun gives the woman an older image, real life examples show that with the right colour and material, this design can give just as a youthful image as any other Hanfu design. Please note that appointments for qin selections are now considered a session, and are charged as such. 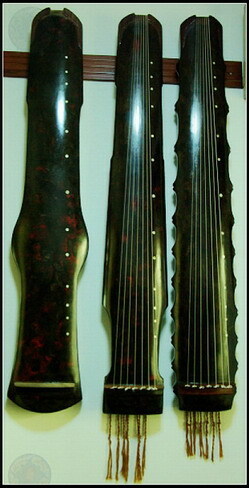 Please note that there are slight modifications to the Guqin curriculum offered in the 2010 year, primarily on course fees and appointments to selecting instruments. Due to TTC fee hikes, each house-call session’s fee is now CDN$6. Also, TorGuqin’s own textbook project “Standards of the Guqin” has released a new edition, now in a more compressed PDF format, and complete with Repertoire A scores and descriptions. Be sure to check it out and send any comments regarding the textbook under the “Guqin Textbook” page comments section! 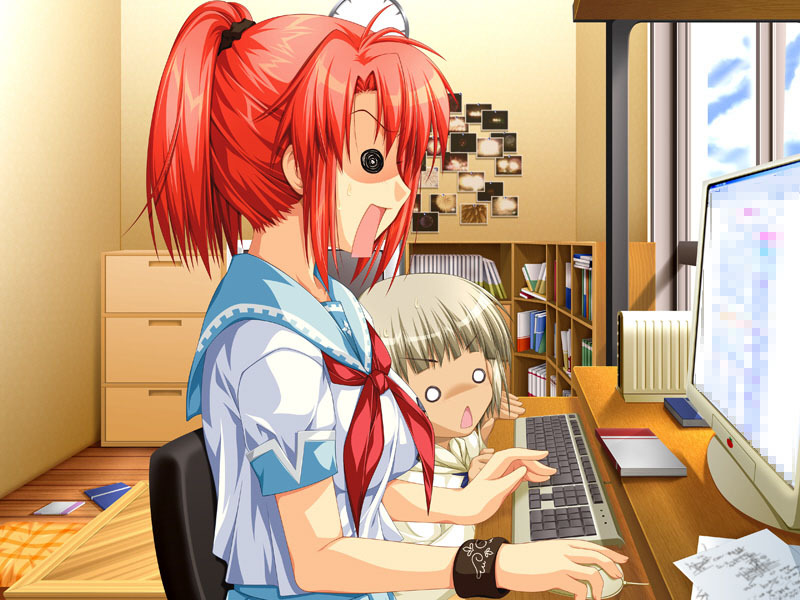 Original title “缘系华服双飞翼，梦里依稀到汉唐——记2009年我的汉式婚礼” (Linking fate with flourescent clothes and sending aflight in pair, as if returning to Han and Tang times in our dreams – A record of our Han-style wedding ceremony in 2009) by Yang Na. Translation by Juni Yeung. On the Eleventh day of the Eleventh month of Jichou (4707), December 26th of December, 2009, my husband and I hosted a grand Han style wedding ceremony in the Beijing Shangri La Hotel. Ever since the moment I knew about Hanfu, I have a wish – on the most important day of my life, I want to use the Zhou standard marriage ceremony with over three millennia of Huaxia history to witness our love, to prove our hundred years of matrimony, and to prove our ethnic pride of over 5,000 years! 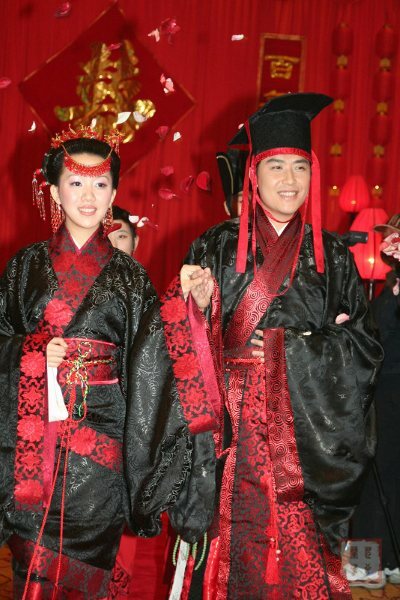 The Han ethnicity is not without its own rituals of matrimony – its beginnings can be traced to the Western Zhou era, reknowned for founding the Chinese nation with rites and music, as well as its succeeding Spring and Autumn, and Warring States periods, known for its superior persons’ (“gentlemanly”, junzi) demeanour. Ritual humbles oneself and respects the other, and puts in order the senior from the junior. Ritual is intricately organized, and is the fundamental element of the ideal Huaxia nation. The Huaxia Chinese nation of today does not need to refer to the wedding ceremony of the West, devoid of Christian beliefs and churches and only with a wedding dress. The wedding ceremony began its planning in August. Since we were both outside of China [Transl. : Na works in Sweden], most of the tasks were organized by the parents on both sides, along with Zhou Tianhan (周天晗) and Mo (netname, 谟). 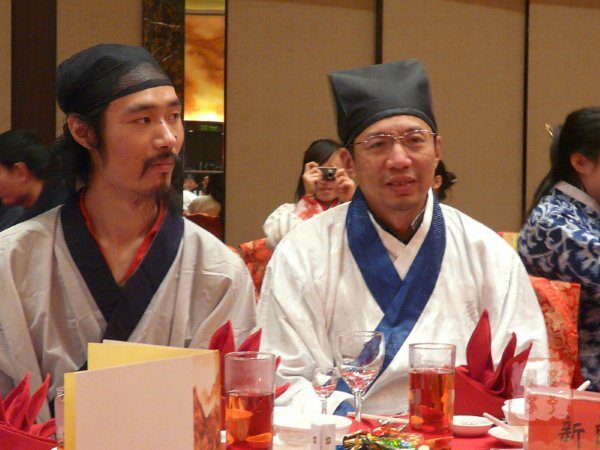 The ceremony process was based off of Zhou-standard ritual ceremony for Shi class, which Zhou Tianhan and Ufe (Wu Fei) revised and modified to suit the occasion. The clothing were made according to Zhou-standard regulatory shapes, and was designed and produced by Mo. The hairdressing design was researched by Youlan Fangqin (netname, 幽蘭芳沁) and Keyi (netname, 可依) based on patterns of servants of the period, and made completely by hand. If we hadn’t had the three months of hard work by everyone, we wouldn’t have the success of this day.